It’s been going on for so long now, it almost seems a tradition. 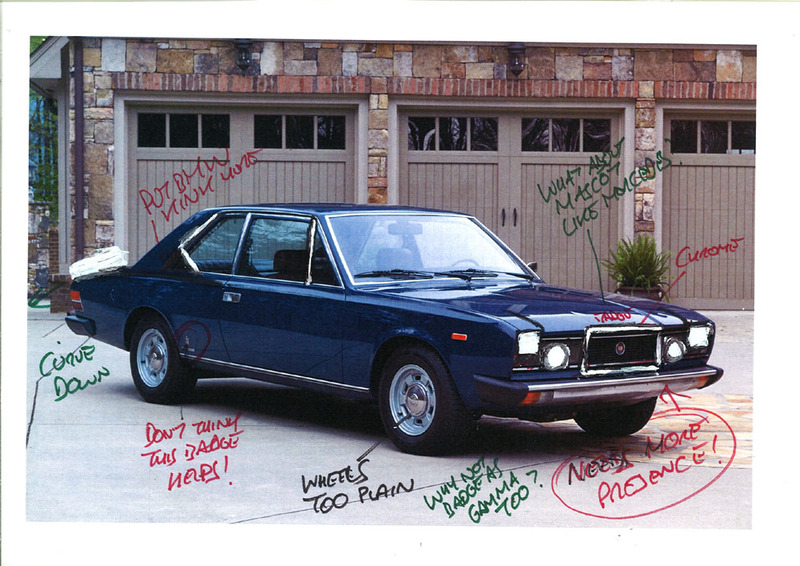 Fiat’s styling has always been variable. They have produced some great designs and some disappointingly dumpy ones, often in the same generation. But what is constant is that, when it comes to facelift time, however good or bad the original was, the facelift is always worse. There are various theories I can offer and, not being a Fiat insider, that is all I can do. Pragmatism : Sometimes that’s the only course. The Topolino’s pre war curves were cute but aged so, by 1950, something needed to be done. But did it have to be so heavy handed? Boredom : The separate wings of the 1967 124 Coupe were deemed to be dated within three years, although they look very elegant now. A bland but not unattractive full width grille was grafted on, but the B model was soon lambasted for lacking the handling finesse of its predecessor. The C model brought back the handling, but at what a stylistic price. Talent : Facelift designers understandably keep a low profile. Tinkering with someone else’s work is hardly that rewarding. The original 128 was the near perfect three box saloon. Whoever did the facelift didn’t know that. Fashion : The best part of Punto 2 was the front. But grilles had become de rigeur, the accepted wisdom that being they were essential for the identity of the car. So enter rentagrille. Money : Have Fiat’s accountants always been mean with facelift money? Certainly not with the Multipla, which had new sheet metal chucked at it after a disturbingly short time, neutering what should have been an influential design. Politics : Giugiaro reputedlly gave Fiat the Grande Punto as a gift in the first place. Was it because he was offended at the mediocrity of the previous model? Anyway, it seems that internal factions couldn’t wait to put their mustachioed stamp on the great man’s work. The fact that a further facelift has now reversed that just underlines Fiat’s strange behaviour. Stupidity : Actually, I think that’s most of the above. Fiat currently has many problems but I think the above shows that one thing they shouldn’t do is tinker. The Titanic’s deckchairs come to mind. Fiat’s facelift history would be a thing of unintentional, goofy charm, if it wasn’t standing for the overall Turinese malaise. People have or will lose their jobs because Fiat management and designers hasn’t mastered this substantial element of the modern automotive business. It really would be funny, if it wasn’t so sad. Kris. Certainly we use Fiat’s current predicament as a source of dour humour from time to time, but I guess I speak for us all in pointing out that Fiat is one of the great manufacturers in motoring history, arguably the greatest. Bugger Bugatti and even F …er … Forget Ford, Fiat created so many templates for the proper cars the world drives and they deserve lasting respect for that. Unfortunately, like any huge organisation, it is sometimes easier for the undeserving to get into a position of influence than the talented. Sean, my comment wasn’t intended as a criticism on your very poignant text – any anger was merely aimed at the actual perpetrators, namely Fiat management. Apologies if this wasn’t made clear in the first place. Kris. And apologies if my comment appeared to be taking offence! It wasn’t meant to read like that. I perfectly understood your point and was just expanding on it. The old military ‘Lions led by Donkeys’ quote applies to much of the motor industry’s history, certainly the UK’s, and, unfortunately, to Fiat’s these days. Though maybe all the lions have given up by now. 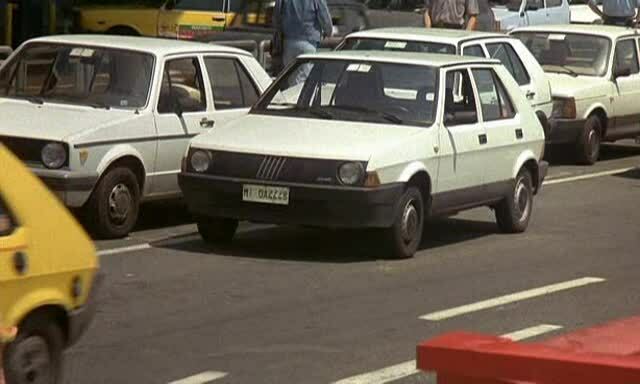 I remember the Fiat Ritmo, a car with a nice modern and unique design – completely spoiled at the facelift. The single-lamp-version was perfect in spoiling the original character. Markus. Fiat’s facelift hells are so numerous that I had to omit some, but the Ritmo was certainly a prime contender.